Exercise #67 : "Curtains of Paperclips"
In an art show in Mexico City as an installation piece, an artist had strung together thousands of paperclips and hung them in several rows like a series of curtains over open doorways. Walking through these curtains of shimmering silver paperclips was quite an experience. The writing exercise is this: take three ordinary, everyday objects (such as paperclips, or, say, bottlecaps, or milk cartons) and briefly describe three "installation pieces" you might make from them. First is a really nifty accordion wallet made from a milk carton (pictured right). I love it. In fact, the seller, reuseitnow, has an entire line of milk carton wallets. Very inventive and very green! 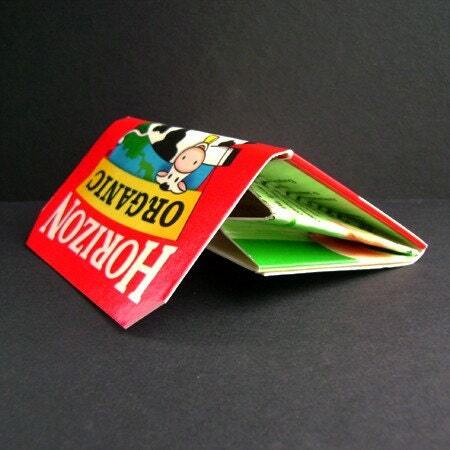 Similarly, ChelseaCreations also makes an adorable line of wallets made from milk and juice cartons. I absolutely love that she keeps the twist-off lid involved in the design. I don't know if they are actually functional in some way or if they're just there for aesthetic value, but they're great either way. 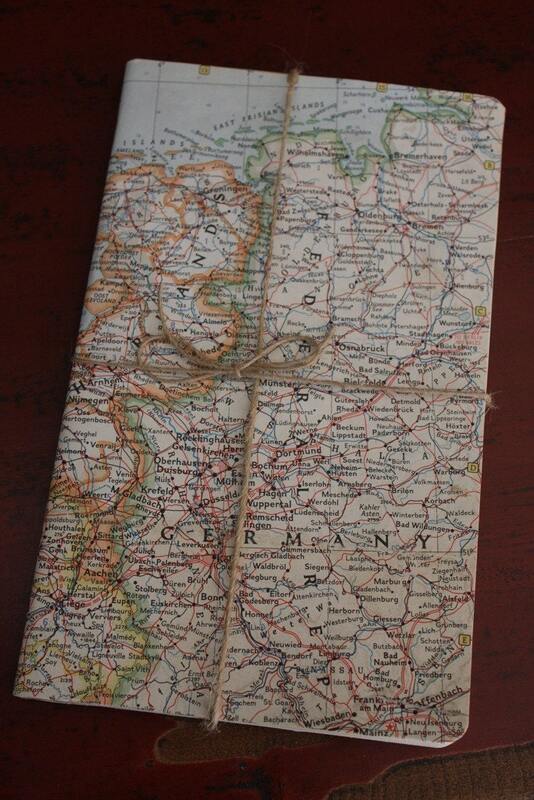 Pictured left is a cahier covered with a Vintage 1960 map featuring Germany, Netherlands, and Belgium. As a person who absolutely loves maps simply for their travel value, this is a great idea for me. I'd totally use it as a travel journal... if I had the money to travel... Oy. 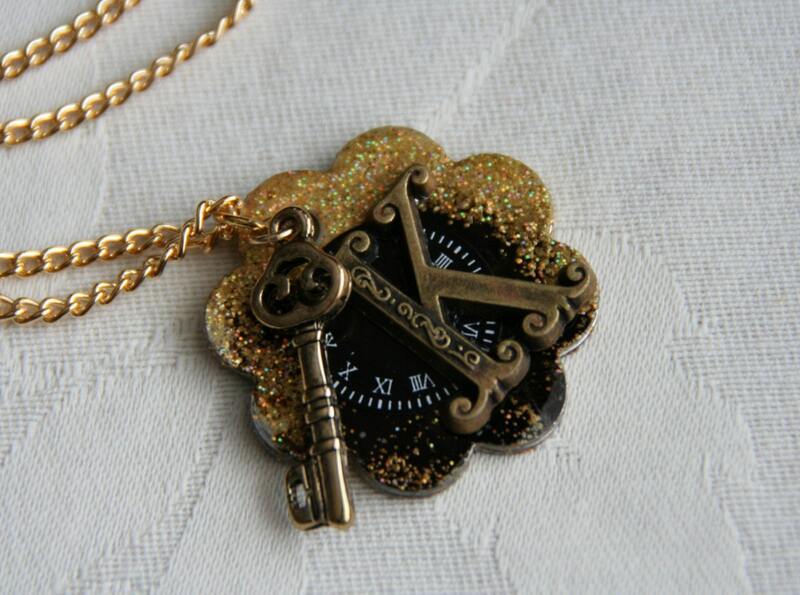 The problem with getting on Etsy is that I'm poor and can't buy all of the wonderful stuff I see. You honestly don't know how many times per second I wish I wasn't destitute... Oh, what am I saying? I'm a lot better off than many, many people in the world. Well, that concludes my Etsy showcase! I hope you enjoyed it. I know I did! Do any of you have favorite Etsy sellers? Who are they? I'm always on the lookout for new and interesting stuff!